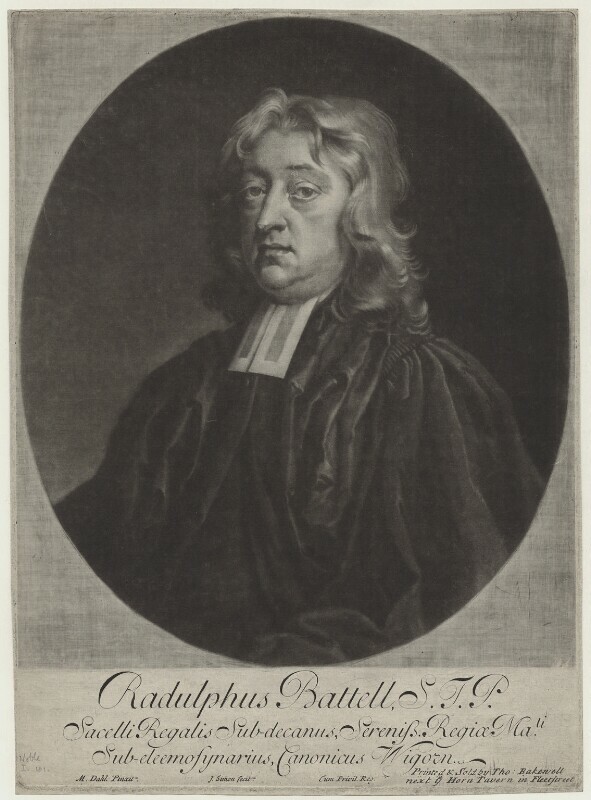 Ralph Battell (1649-1713), Divine. Sitter in 3 portraits. Thomas Bakewell (active 1729-1749), Printseller and publisher. Artist associated with 15 portraits. Michael Dahl (1659-1743), Portrait painter. Artist associated with 166 portraits, Sitter in 2 portraits.